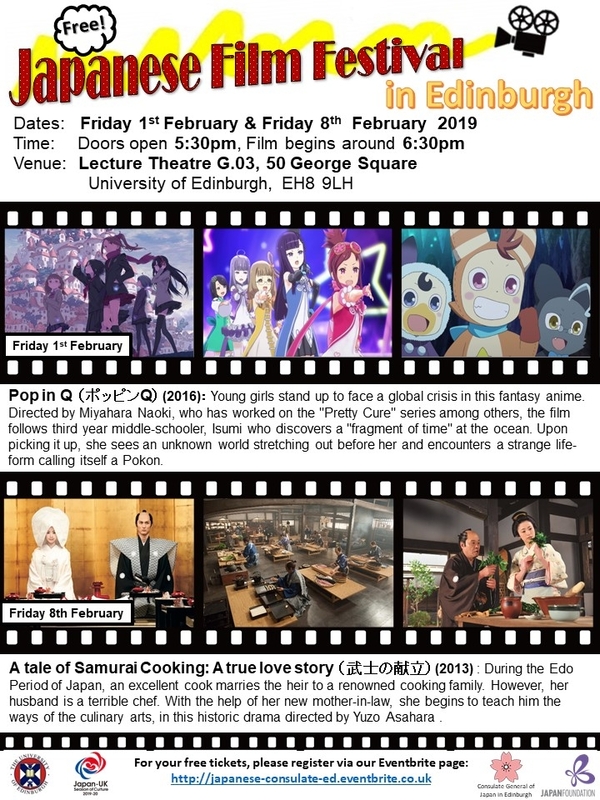 This year the Japanese film festival will be held at the University of Edinburgh on Friday 1st and Friday 8th of February in collaboration with the University of Edinburgh and the Japan Foundation. Both films will be shown in the original Japanese with English subtitles. Please see the event poster(click) for more details about the films. Both of this year’s films are great picks, so don’t miss out.